Welcome back to the work week, folks! We’re here with some information on those Affordable Care Act forms! As you may know, if you’re an applicable large employer (ALE), you need to offer health insurance coverage and to your full-time and full-time equivalent employees. This is a part of the ACA’s employer mandate to help ensure more US taxpayers have access to affordable health insurance. So just a few basics about this rule before we get down to the nitty-gritty of it: ALEs are employers with fifty or more full-time employees. This total of fifty or more does include full-time equivalent employees. Additionally, the IRS considers 30 or more hours a week (or more than 130 hours per month) to be full-time. 1. You must stick to the method you pick for the entire year. If you decide you want to change methods, you’ll have to wait until the next year’s reporting. 2. Methods 2 and 3 (listed below) can both be used to classify your salaried employees, just make sure you keep your classifications consistent. 3. You cannot, however, use Methods 2 or 3 if the results you come up with using them understate the employee’s hours to bring them below the full-time employee hour minimum. 1. The Simple Method (although, maybe not if you’re working with salaried employees): Total up the actual hours of service for each employee for each month. 2. The Daily Method: Total up the number of days each month an employee did at least eight (8) hours of work. 3. The Weekly Method: Total up the number of weeks each month an employee did thirty (30) hours of work. Once you’ve tallied your employee’s hours and know who meets the full-time employee requirements, you’ll have the employees to whom you need to offer health insurance coverage. 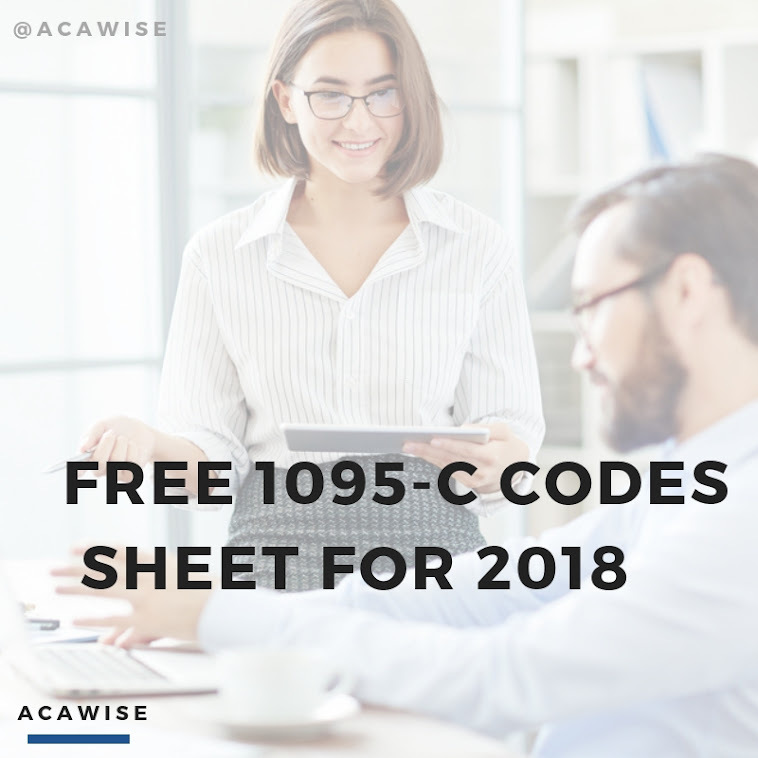 Then all that’s left is to make the offer and report it on Form 1095-C.
And, speaking of Form 1095-C, you can e-file it right here with ACAwise! We have everything in place to make sure everything for your reporting is handled quickly, easily, and efficiently - and, of course, securely! To get started, just head on over to www.ACAwise.com and sign up for an account or free demo. And don’t hesitate to give our customer support staff a call if you need anything. We’re available at (704) 954-8420 and by live chat Monday through Friday, 9:00 a.m. to 6:00 p.m. EST and we provide email support 24/7 at support@ACAwise.com!